It’s awards season once again! Grab your red carpet, roll it out on your front doorstep, and invite friends over. There’s nothing like the glitz and glam of Hollywood on the red carpet. And what makes it even better aside from watching the show live or with your friends is that you can host your own Oscar party at home. The Oscars are a big thing, especially for those in the entertainment industry. But if you love the movies then this is your night too. 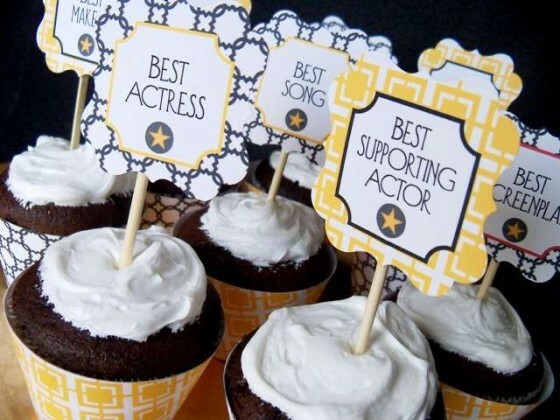 It’s your time to shine and to start preparing for next year; here are some ideas for hosting a great Oscars party. It’s always nice to find all your favorite snacks and food in one place. Set up a mini concession stand and fill it with your favorite snacks and drinks. You can decorate it and make it look like a movie theater. There are a lot of printable materials that you can find online to help you set up a movie theater themed concession stand. When it comes to the food, serve a great menu starting from the appetizer down to the dessert. You can also opt to have a potluck and assign menu items to your friends. Since you’ll be hosting the party, you can take charge of the main course. And to keep up with the Oscars theme, offer awards for best dishes such as best appetizer, best presentation, and so on. The awards can be mini Oscar statues that you can purchase at your local party store. These would also be great as parting gifts for your guests. An awards show would not be complete without the drinks. Come up with a unique way of presenting the cocktail for the event. It doesn’t have to be expensive or a complicated mix. Simply get your champagne flutes ready along with a fruit garnish and pop open bottles of champagne or several wines that you know everyone would love. But if you’ve got the flair for bartending, then, by all means, mix up a cocktail that will blow your guests away. Have a little friendly competition and give out awards at the end. You could form small groups or have everyone compete as individuals. Throw in various Oscar-related questions and even have an Oscar host betting competition. There are Oscar host betting odds that you can check out in advance to see who are rumored to be next year’s host. Take your pick or choose your own and make a bet. Small champagne bottles would serve as a great prize for the winners. And whoever wins the bet will, of course, take home the cash. Hosting a party is exciting and fun. What is more fun is if you’re hosting an Oscars party? It’s a simple way to get the gang together and spend time off work. So start planning for next year’s biggest event and enjoy it with good friends, great food, and in the comfort of your own home. Let’s all toast to that!